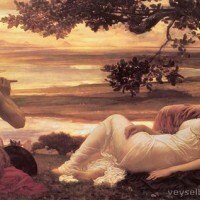 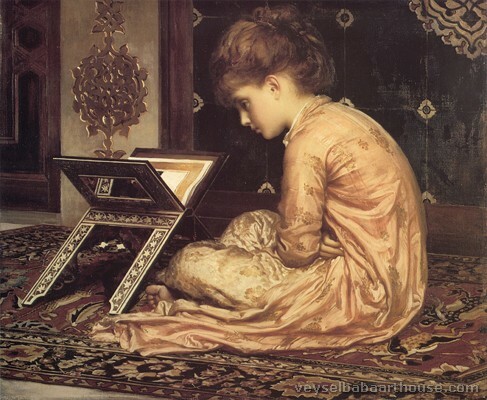 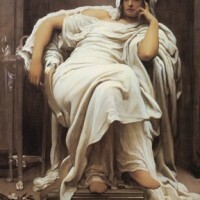 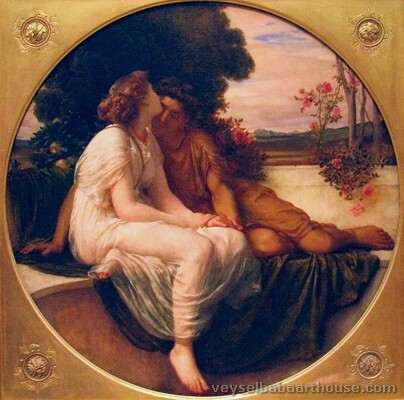 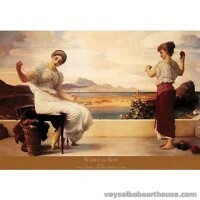 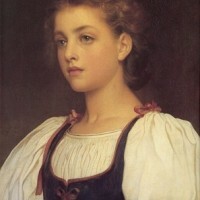 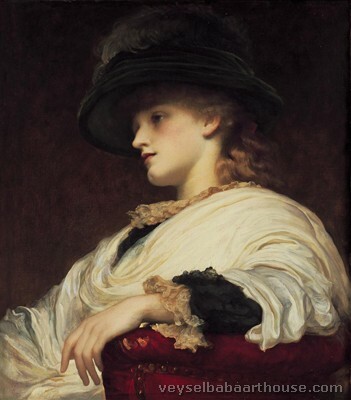 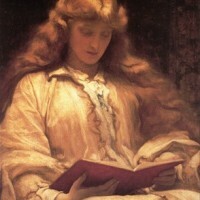 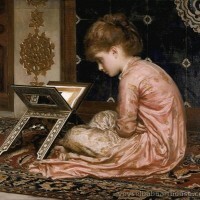 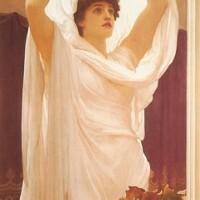 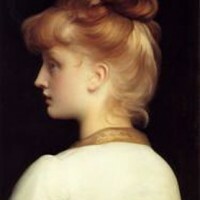 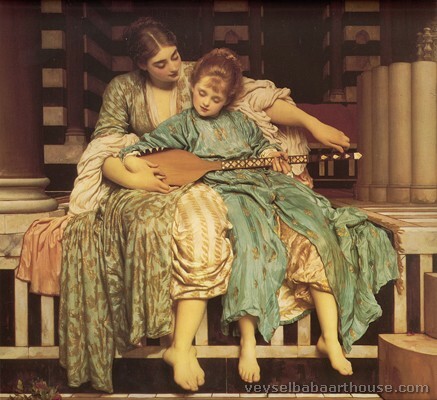 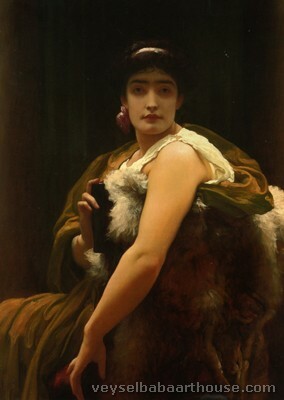 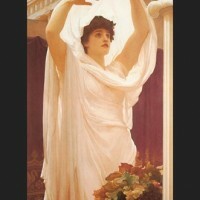 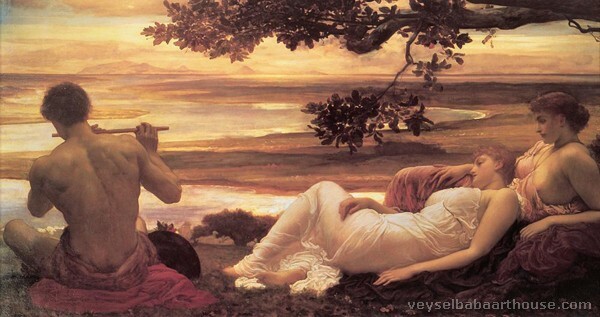 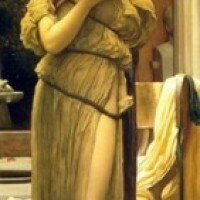 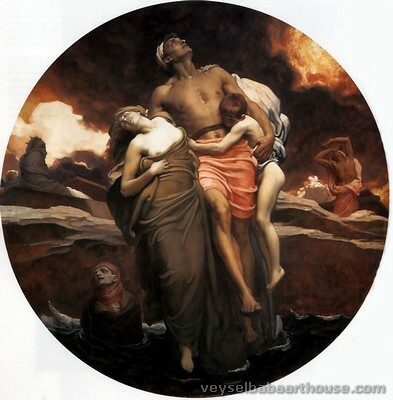 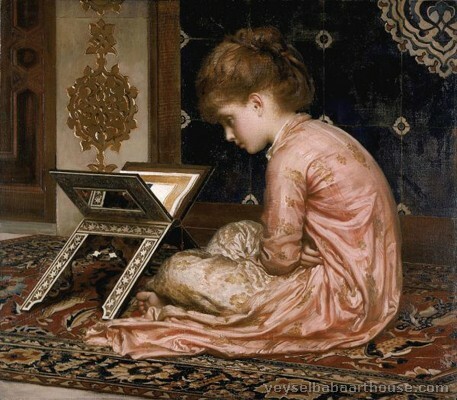 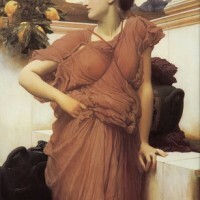 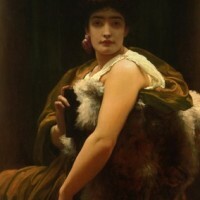 Frederic Leighton, 1st Baron Leighton PRA (3 December 1830 – 25 January 1896), known as Sir Frederic Leighton between 1878 and 1896, was an English painter and sculptor. 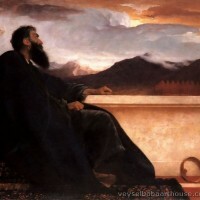 His works depicted historical, biblical, and classical subject matter. 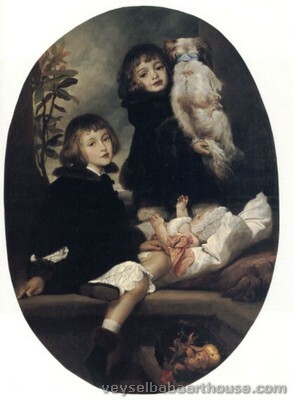 Leighton was bearer of the shortest-lived peerage in history; after only one day his hereditary peerage ended with his death. 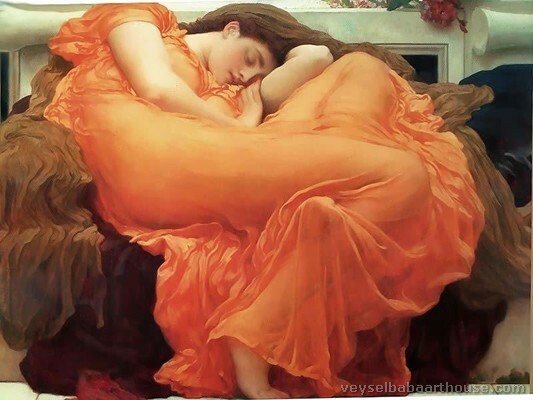 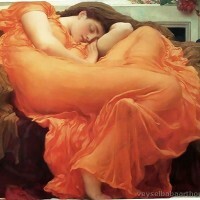 Flaming June (1895; Museo de Arte de Ponce). 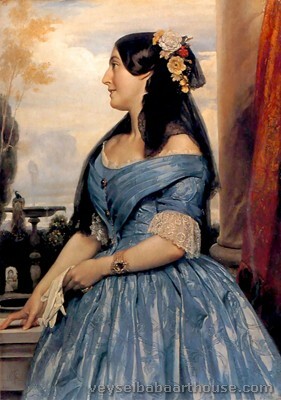 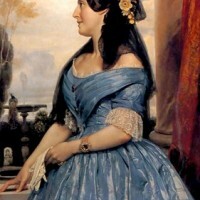 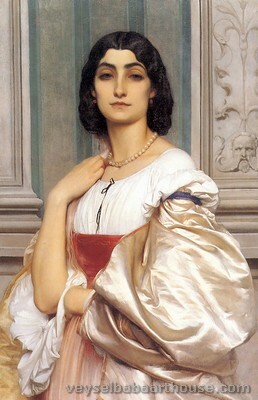 Leighton was born in Scarborough to a family in the import and export business. 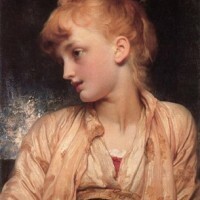 He was educated at University College School, London. 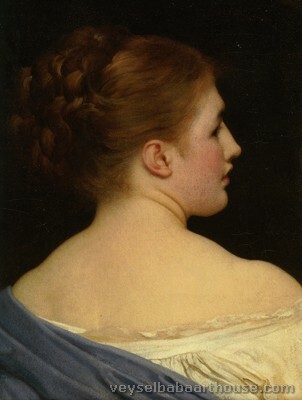 He then received his artistic training on the European continent, first from Eduard von Steinle and then from Giovanni Costa. 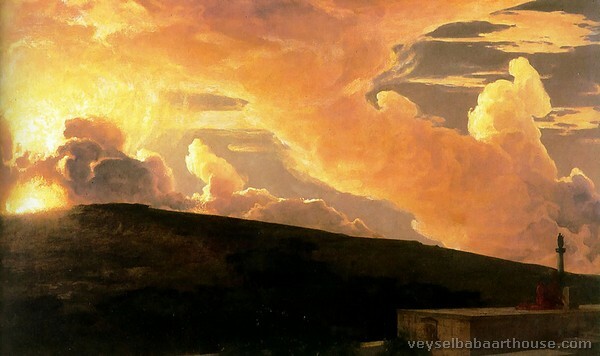 At age 17, in the summer of 1847, he met the philosopher Arthur Schopenhauer in Frankfurt and painted his portrait, in graphite and gouache on paper—the only known full-length study of Schopenhauer done from life. 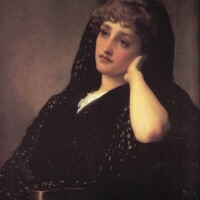 When he was 24 he was in Florence; he studied at the Accademia di Belle Arti, and painted the procession of the Cimabue Madonna through the Borgo Allegri. 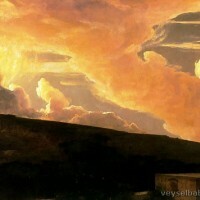 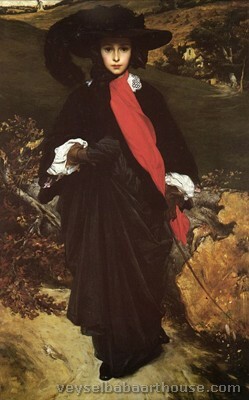 From 1855 to 1859 he lived in Paris, where he met Ingres, Delacroix, Corot and Millet. 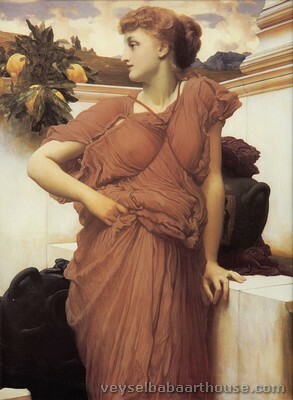 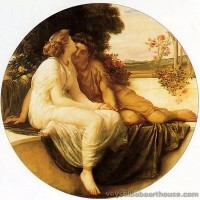 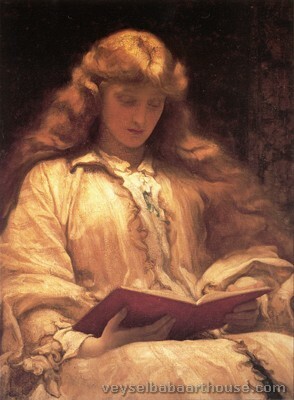 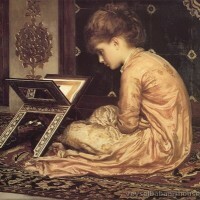 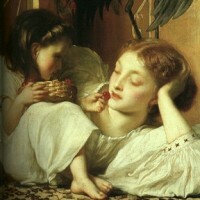 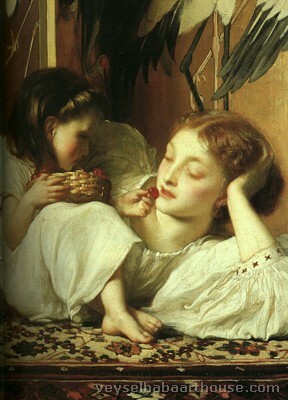 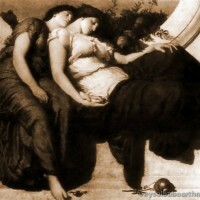 In 1860, he moved to London, where he associated with the Pre-Raphaelites. 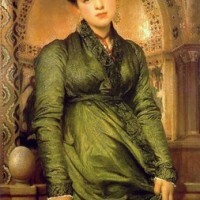 He designed Elizabeth Barrett Browning's tomb for Robert Browning in the English Cemetery, Florence in 1861. 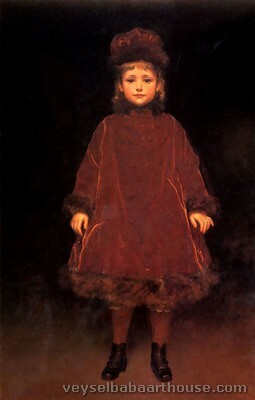 In 1864 he became an associate of the Royal Academy and in 1878 he became its President (1878–96). 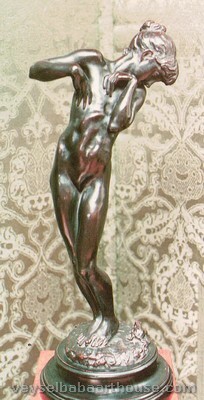 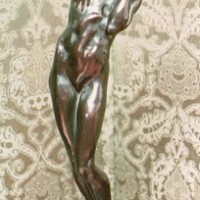 His 1877 sculpture, Athlete Wrestling with a Python, was considered at its time to inaugurate a renaissance in contemporary British sculpture, referred to as the New Sculpture. 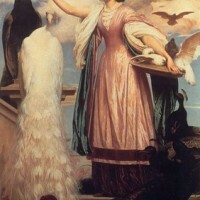 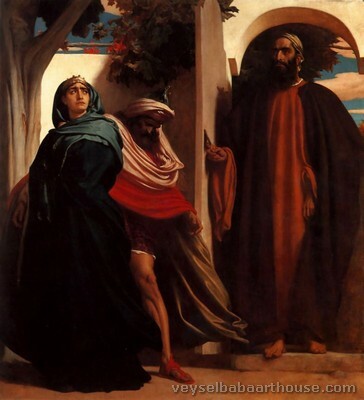 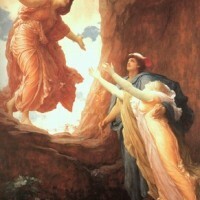 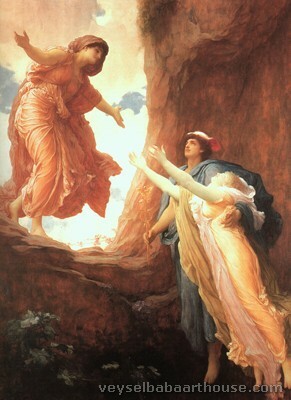 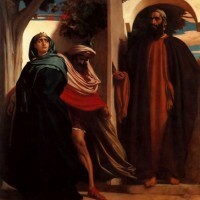 American art critic Earl Shinn claimed at the time that "Except Leighton, there is scarce any one capable of putting up a correct frescoed figure in the archway of the Kensington Museum." 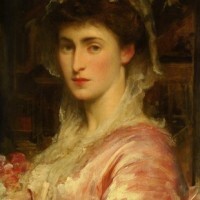 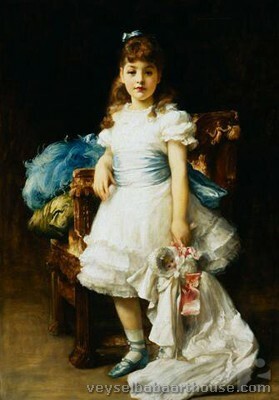 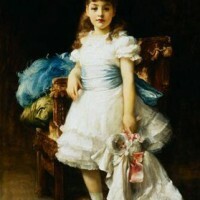 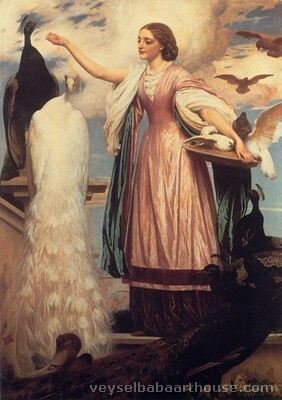 His paintings represented Britain at the great 1900 Paris Exhibition. 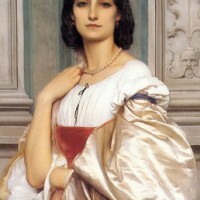 Leighton was knighted at Windsor in 1878, and was created a baronet, of Holland Park Road in the Parish of St Mary Abbots, Kensington, in the County of Middlesex, eight years later. 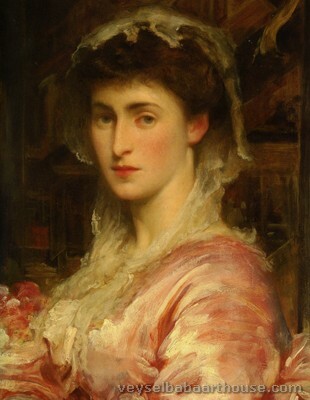 He was the first painter to be given a peerage, in the New Year Honours List of 1896. 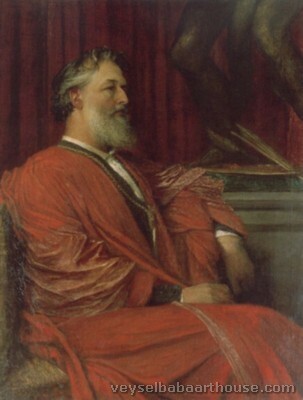 The patent creating him Baron Leighton, of Stretton in the County of Shropshire, was issued on 24 January 1896; Leighton died the next day of angina pectoris. 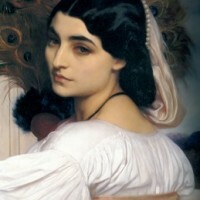 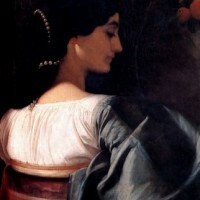 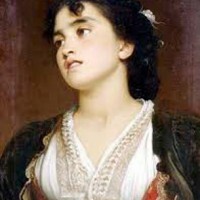 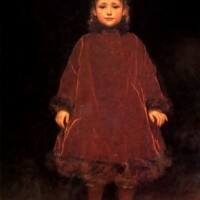 Leighton remained a bachelor and rumours of his having an illegitimate child with one of his models in addition to the supposition that Leighton may have been homosexual continue to be debated today. He certainly enjoyed an intense and romantically tinged relationship with the poet Henry William Greville whom he met in Florence in 1856. 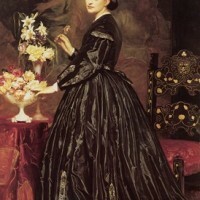 The older man showered Leighton in letters, but the romantic affection seems not to have been reciprocated. 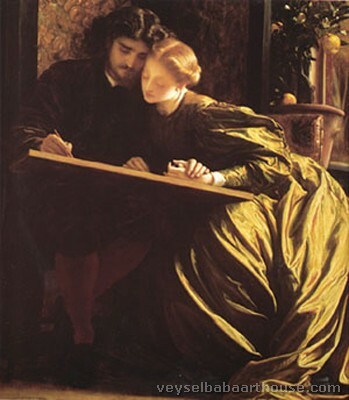 Enquiry is furthermore hindered by the fact that Leighton left no diaries and his letters are telling in their lack of reference to his personal circumstances. 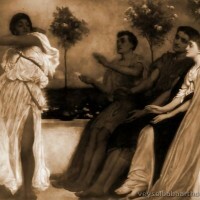 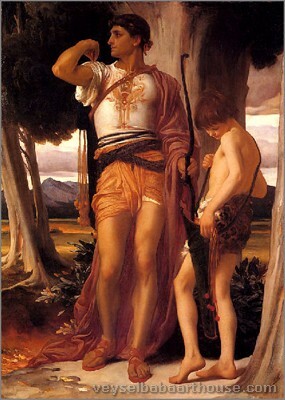 No definite primary evidence has yet come to light that effectively dispels the secrecy that Leighton built up around himself, although it is clear that he did court a circle of younger men around his artistic studio. 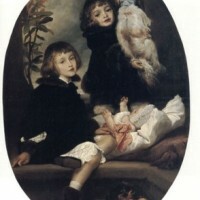 After his death his Barony was extinguished after existing for only a day; this is a record in the Peerage. 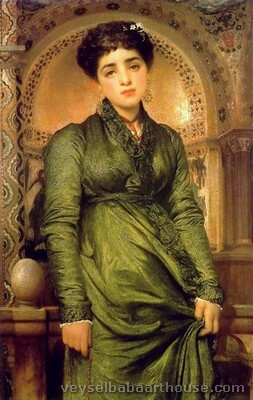 His house in Holland Park, London has been turned into a museum, the Leighton House Museum. 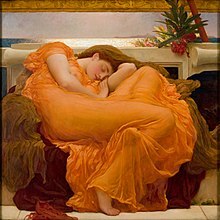 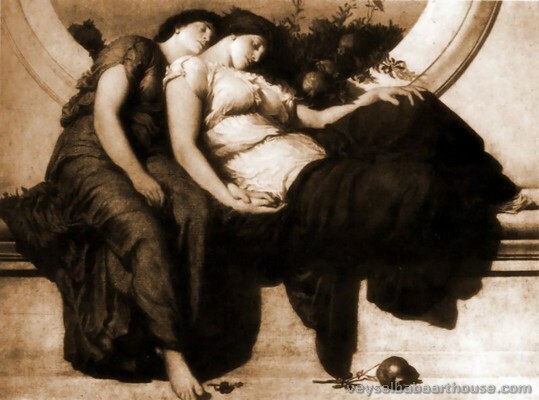 It contains many of his drawings and paintings, as well as some of his former art collection including works by Old Masters and his contemporaries such as a painting dedicated to Leighton by Sir John Everett Millais. 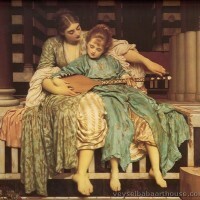 The house also features many of Leighton's inspirations, including his collection of Iznik tiles. 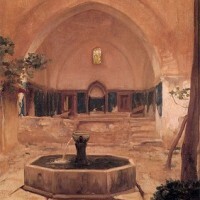 Its centrepiece is the magnificent Arab Hall. 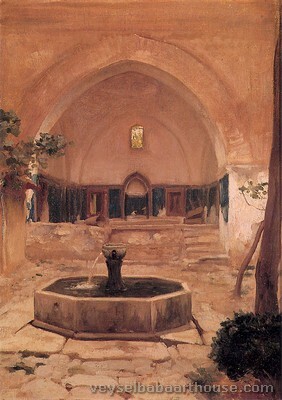 The Hall is featured in issue ten of Cornucopia. 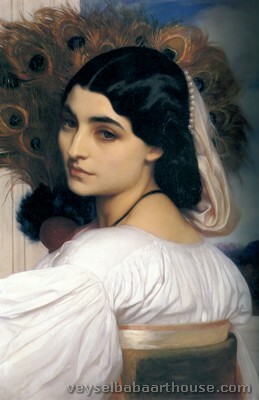 A blue plaque commemorates Leighton at Leighton House Museum. 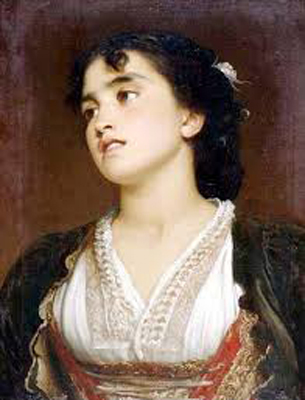 Leighton was an enthusiastic volunteer soldier, enrolling with the first group to join the 38th Middlesex (Artists) Rifle volunteers (later to be known as The Artists Rifles) on 5 October 1860. 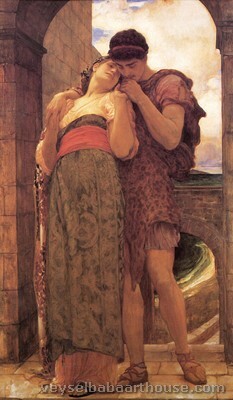 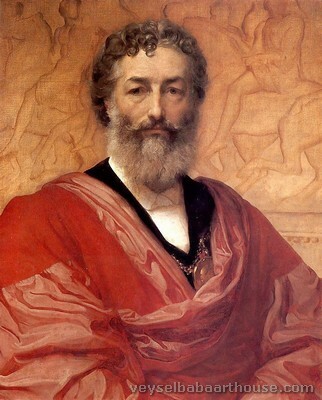 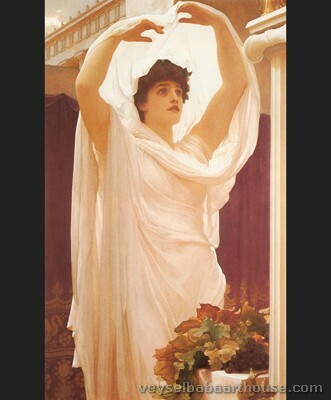 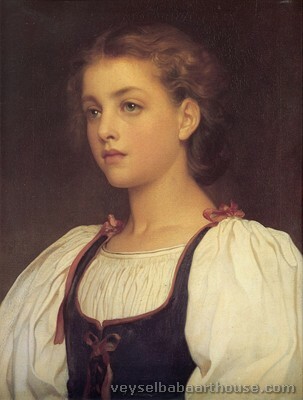 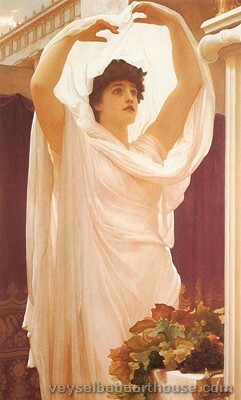 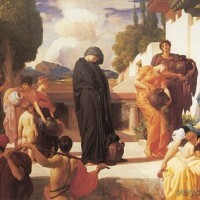 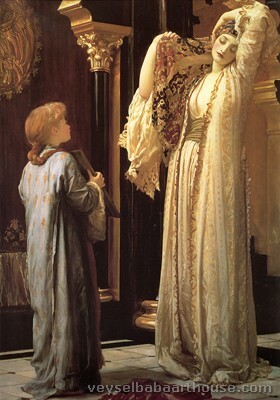 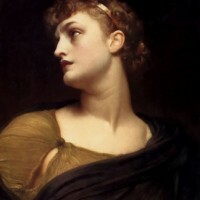 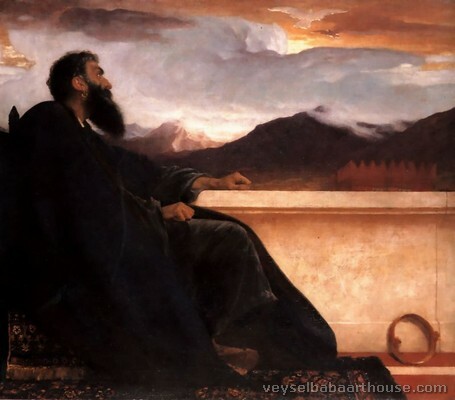 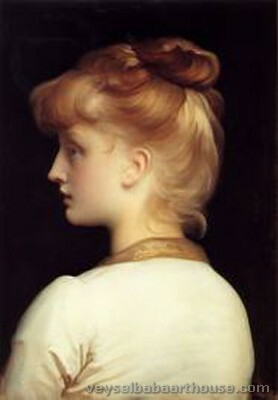 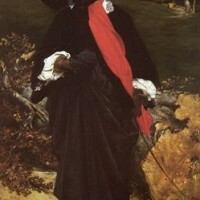 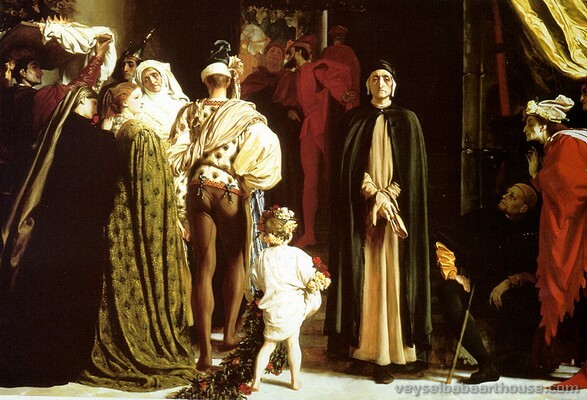 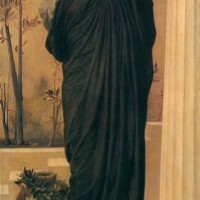 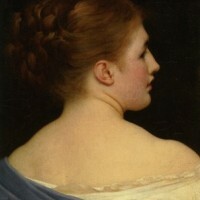 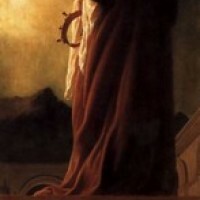 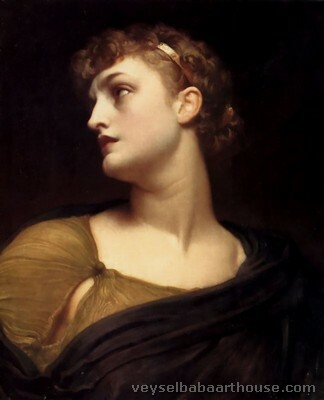 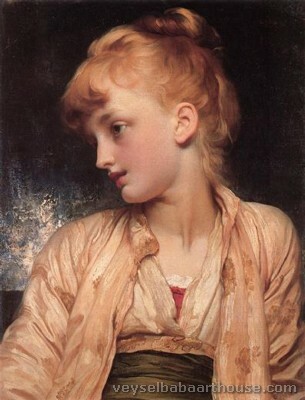 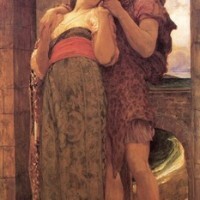 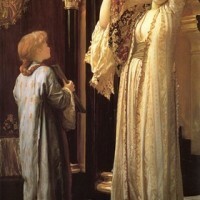 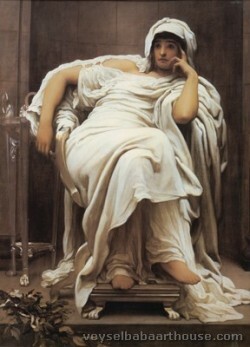 Sir Frederick Leighton, later in his career. 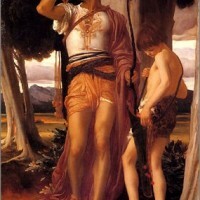 His qualities of leadership were immediately identified and he was promoted to command A Company within a few months. 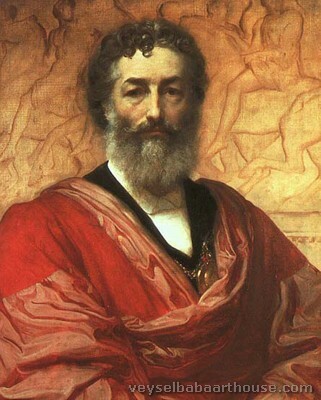 On 6 January 1869 Captain Leighton was elected to command The Artists Rifles by a general meeting of the Corps. In the same year he was promoted to Major and in 1875 to Lieutenant Colonel. 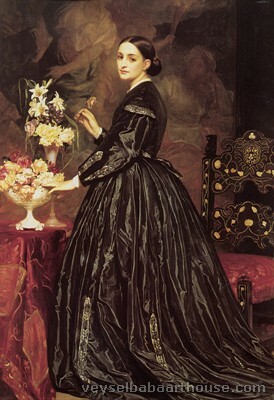 Leighton resigned as Commanding Officer in 1883. 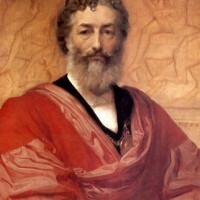 The painter James Whistler famously described the then, Sir Frederic Leighton, the Commanding Officer of The Artists Rifles, as the: “Colonel of the Royal Academy and the President of the Artists Rifles – aye, and he paints a little!" 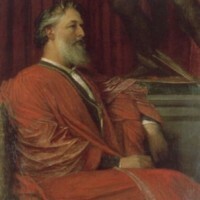 At his funeral, on 3 February 1896, his coffin was carried into St Paul's Cathedral, past a guard of honour formed by The Artists Rifles. 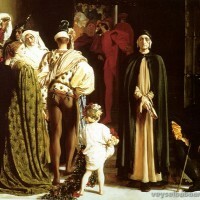 Cimabue's Celebrated Madonna is carried in Procession through the Streets of Florence (1853–55), oil on canvas. 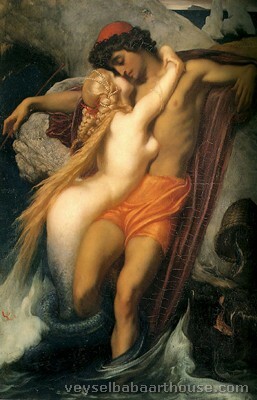 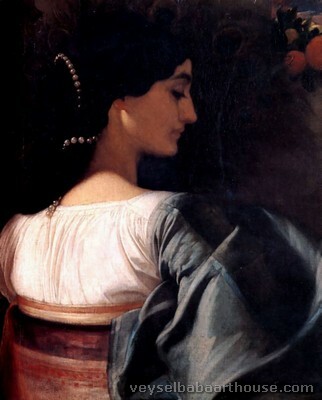 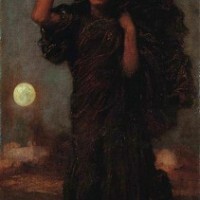 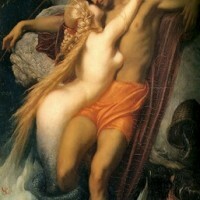 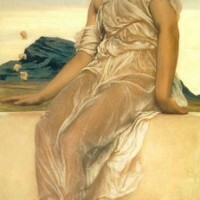 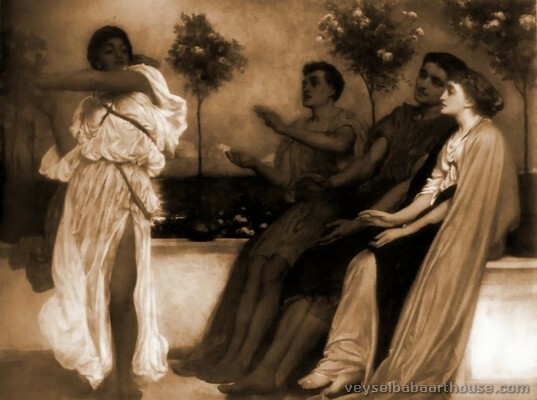 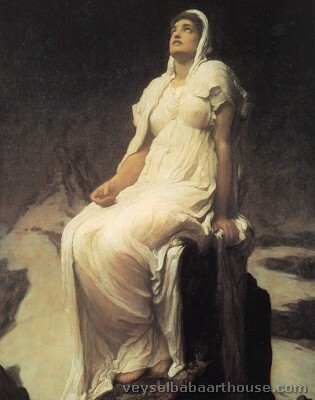 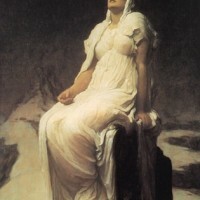 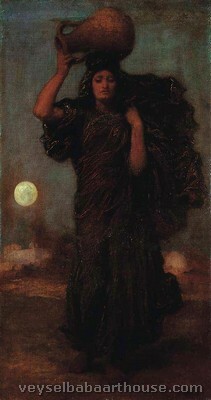 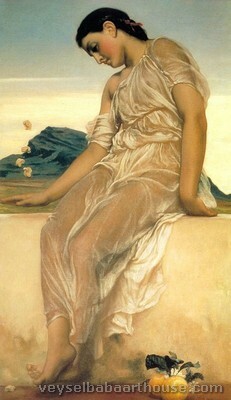 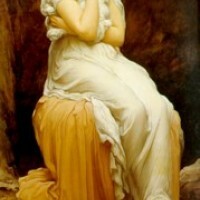 Actaea, the Nymph of the Shore (1868), oil on canvas, (57.2 x 102.2 cm) National Gallery of Canada, Ottawa.